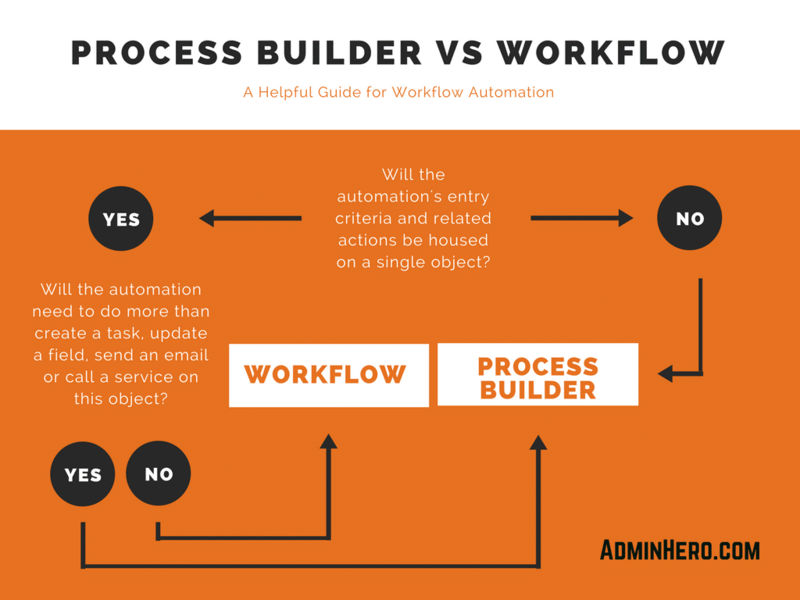 Ahhh, the great automation debate: Process Builder versus Workflow. Both are powerful tools, both offering countless benefits. More than likely there is at least one of each kind of automation enabled in your org right now. But which one should you be using for that next automation request? Based on Trailhead exercises, you should be using Process Builder. I have yet to take a trail that instructs Trailblazers to use Workflow. Just a few weeks ago I was participating in a Circles of Success at a user group meeting where we were discussing automation, and the bulk of the conversation was spent talking about Process Builder (and very little about best practices related to these tools). Perhaps I’m old enough to still have quite a soft spot in my hear for Workflow. After all, I’ve been in the Salesforce community for 10 years now and Workflow used to be the only way a non-technical Admin could automate anything. Has Workflow fallen out of favor? Let’s find out! This tool is definitely the new kid on the block. With all of its flashy Lightning Experience interface and all of the whiz-bang actions it can do (can I get a “holla” for the record create action? ), it’s easy to be lured in by Process Builder’s siren call. Process Builder is built atop the Flow (aka Visual Flow) platform but requires less technical ability than Flow. Because of the underlying architecture, it’s powerful too. Here are just a few things you can do with Process Builder. With all of those benefits, Process Builder is a home run, right? Well, not so fast. There are some drawbacks to consider. For example, Process Builder is not bulkified in a way that allows for high volume transactions to be done en mass without significantly reducing the batch size. By reducing the batch size, I mean down to a batch of 10 records in some cases. I’ve also experienced issues in highly customized orgs with lots of code and workflows where Process Builder doesn’t play nice. It has fired at the wrong time and reverted fields to old values; caused errors in bulk updates being done via code; and can be difficult to troubleshoot. So, there are the traditional pros and cons. But what about Workflow? Workflow is the tried and true method that many of us are familiar with for automating business processes. It’s a workhorse. Based on the filter criteria, you can do things like update a record, or send an email. It’s simple and intuitive. It’s a minimalists dream! Workflow is properly bulkified, meaning that Admins can run mass updates to hundreds, thousands, or millions of records and Workflows will fire and process their actions every time without fail. 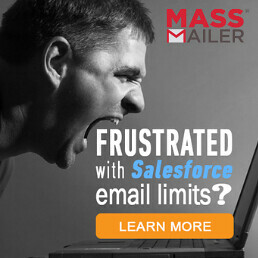 But, like with Process Builder, there are downsides. Specifically, the reduced capabilities means that you’ll need to get creative with your field criteria by creating formula fields to pull related data to the object the Workflow is built on (this is a hack to cross-object entry criteria). One Workflow can contain only one set of entry criteria so you’ll need to create more Workflows to accomplish the same updates that one Process Builder can accommodate. So, if you’re still following along, you’re probably noticing that there are major pluses and minuses to both. Which one will win this showdown? The truth is that both tools are extremely powerful and terribly useful. The winner will be situational, meaning that you shouldn’t use one over the other exclusively, you should use both in your org. Evaluate the requirements, and determine the best tool for the job. Process Builder shouldn’t always be the tool of choice. It boils down to this: if the requirements allow you to use Workflows, use Workflows. 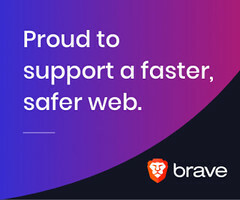 If not, then move to Process Builder. You’ll find far less issues with your business processes and related code, as well as data updates by first evaluating and using Workflow whenever possible. If you’re new to process automation, don’t worry! Trailhead has you covered. Learn all about Workflow and Process Builder by getting hands-on with Trailhead and this custom Admin Hero – Automation Showdown Trailmix! Have a different opinion? Leave a comment below! What about how they interact with each other? In your opinion, if you’re working with an object that already has a Process as a prerequisite, does that skew the decision? Or when you want the new action in a particular place along the firing line. For example I’ve been debating whether to move all workflows into a single process builder (where before there was a mix of Processes and workflows.) I’m still not sure which is the best move for either performance, or for firing order. Excellent tips, Brian! Thanks for the contribution of best practices! Very big fan of PB! It’s allowed us to leap forward where we would have otherwise needed a much more technical resource. The only downside for us is the really clunky view of the processes. No grouping or filtering to make that page not very useful even wit careful naming conventions. Navigating the process and quickly identifying actions and criteria could be much easier. Heck, moving from one process builder to another could be much simpler and faster with improved navigation. I’m not hating on Process Builder, it’s a great tool, but needs to be used with some purposeful though and in the right circumstances. Thanks for the comment! Great comments! I’ve seen these same things in orgs and being sloppy has caused record locks, exclusivity errors, and other issues as a result. Part of the problem is understanding what some of the options mean in Process Builder because the explanations can be so vague. Thanks for the comment! YES! YES! YES! All of these are good reasons to only use process builder when absolutely necessary. If I run into bulk errors with PB, I’ll often build in a “0 days after Rule Trigger Date” scheduled action which delays my PB action by a few seconds. This has solved a lot of those bulk error issues. I’m not sure if I’m hurting my org more than helping it with this, as it’s a common fix with my processes. However, I am constantly going back to using Workflow if I’m able to achieve what I need with just that. Interesting workaround, Micah! Thanks for sharing! Hey Brent, any thoughts on whether Workflows will ever cease to be supported by Salesforce? I’ve been hearing Salesforce folks push Process Builder as the new Workflow, but I’m not sure if I’m reading too much into that statement, and making my own assumptions about Workflows going away in the future. As much as Salesforce is pushing Process Builder, I’ve haven’t heard of Workflow being retired. I think it would be a grave mistake, and from what I know, it’s not going to happen (at least any time soon). This would be something that Salesforce would broadcast well in advance (like TLS 1.0 disablement) since it would have such a HUGE impact on almost every org. I wouldn’t be concerned with Workflow going away! Great article. You hit the nail on the head. Sadly, I found out some of these lessons the hard way. Do we know if Salesforce has anything in the works to get PB to be more bulkified? Your flowchart is my new “go to” for choosing the right tool for the job. I sure hope they do, but I haven’t heard anything. Looking at the IdeaExchange, this has apparently already been delivered, but that spurred a whole slew of new ideas expanding on the exact issues with the current iteration. Hi Gidi! Yes, my conclusion still stands! Workflow first, then Process Builder. As a non-coding Admin & Consultant, I’m a fan of the Process Builder and its superpowers, but I’ve also seen it wreak havoc by throwing errors left and right with bulk data processing. Workflow is far more stable for use in those situations where bulk updates may be needed. Thanks for your comment! Thank you, Brent, for your reply!